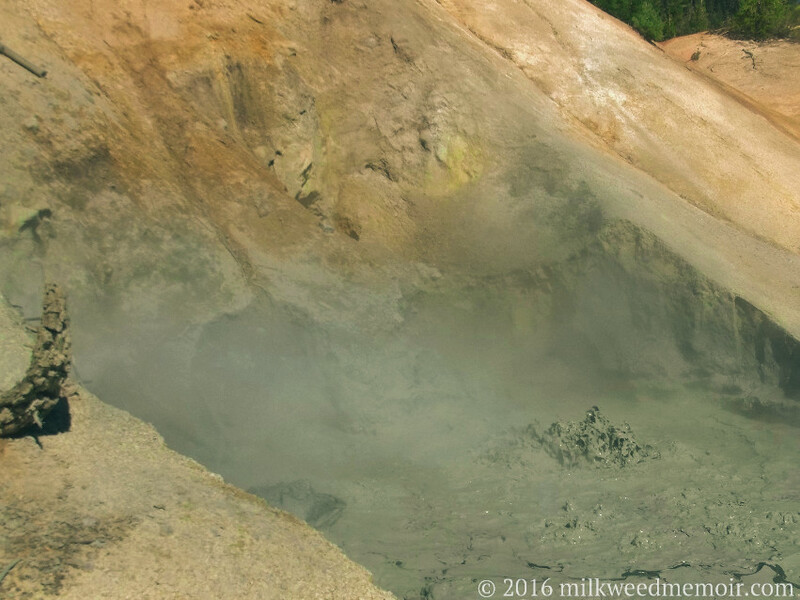 I couldn't resist leaving a milkweed seed ball near this boiling, sulfuric mud pit at Lassen Volcanic National Park. Being planted near the fire and brimstone honors that part of Liz which played Lotto, drank alcoholic milkshakes, was ready with a sarcastic comeback, and lusted after Patrick Stewart. As a Texan, I was surprised and delighted to see our First Lady honored. She was instrumental in creating Redwood National Park and many other conservation projects. In Texas, she led saving our state flower, the bluebonnet, from extinction and helped jumpstart planting highway medians with wildflowers. Texas highways in spring are an incredible sight, thanks to her. 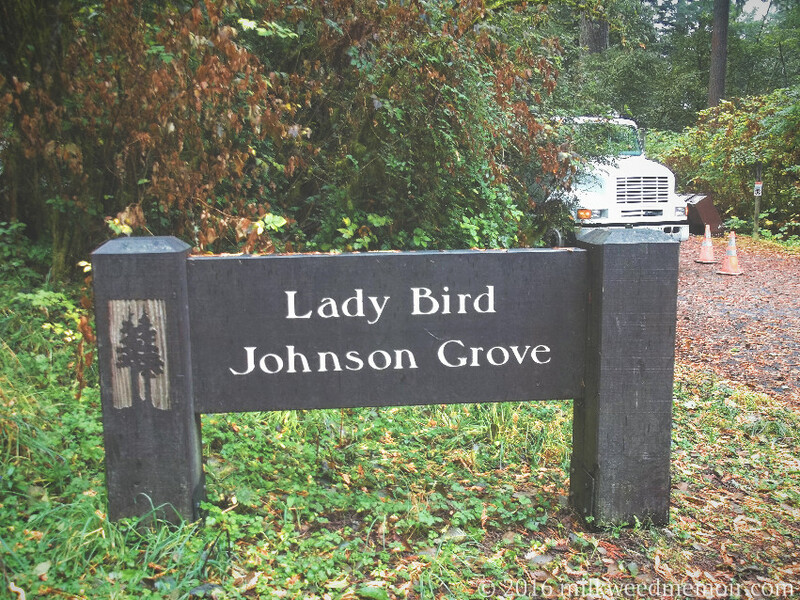 Since her passing, Austin renamed Town Lake to Lady Bird Lake. In back is a septic truck, which was doing the needful and disgusting job of pumping out the vault toilets. I can't say the aroma added to the beauty of Lady Bird Johnson Grove.